Amazing service! A few days ago my young daughter was traveling through Ohio when her car broke down late at night. We live 2.5 hours away. We had the vehicle towed to Cain Toyota since it was closest to where she would be for the night. We literally chose Cain via a quick Google search. I got a call early the next morning from Luis telling me they were pretty booked that day but might be able to take a look at the car later that afternoon. I explained that my daughter was traveling through the state and was kind of stranded. Within 90 minutes of that phone call, Luis called me back and said that they’d been able to diagnose the problem, had all the parts available, and could have the vehicle ready for my daughter that afternoon! I can’t tell you how relieved we were. Great service is truly hard to come by these days, but Luis and his team at Cain proved that is does still exist. If I lived closer, they’d be my go-to team. Thank you, Cain, for top-notch service with a great attitude. This was easily the best / easiest car buying experience I've ever had. 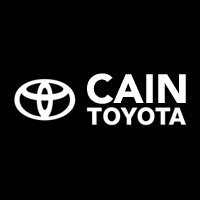 I would HIGHLY recommend Cain Toyota and particularly Sam Warther. He was honest and pleasant to work with. Like most, I have a busy schedule they were very courteous of my time.